It is equipped with super strong umbrella ribs which is super anti-corrosive and anti-rust. The whole umbrella ribs are made of environment-friendly glass fiber material, which weighs less than half of iron ribs but has incomparable toughness and resilience. It has and high density fibre and strong steel ribs to resist heavy rains and winds in raining days, and has silver glue coating to block the UVA/UVB to protect your skin in sunny days. 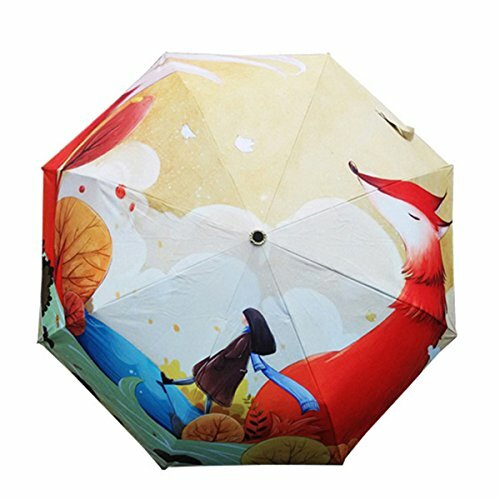 It is made of top umbrella surface material, whose waterproof effect is four times that of ordinary umbrellas. It is strongly waterproof, easy to get spin dried and capable of resisting strong storms. we Focus on the quality in every detail,Every single Umbrella is hand tested and inspected at every steps of the manufacturing process to ensure no defects before it ships from the factory, We're confident that you'll love our Umbrella. If you have any questions about this product by Ruick, contact us by completing and submitting the form below. If you are looking for a specif part number, please include it with your message.